All the fun of Tabletop RPG's without all the pesky papers! I'm a huge fan of Tabletop RPG's, in fact, I play Pathfinder regularly. Divinity: Original Sin - Enhanced Edition is the prequel to the original Divinity, which has a sequel, Divinity II - Ego Draconis/The Dragon Knight Saga. While I never played the original (or spinoffs) I played both versions of Divinity II, totaling ~200 hours of my life. Pro-tip: If you own Ego Draconis, your save does NOT carry over to TDKS as they have different coding. That's due to Atlus buying the title and re-releasing it as TDKS. Divinity II is an RPG style of gameplay by modern standards. Third person rear-view, run around, open combat, etc. Original Sin (the most recent installment) plays... Read All I'm a huge fan of Tabletop RPG's, in fact, I play Pathfinder regularly. 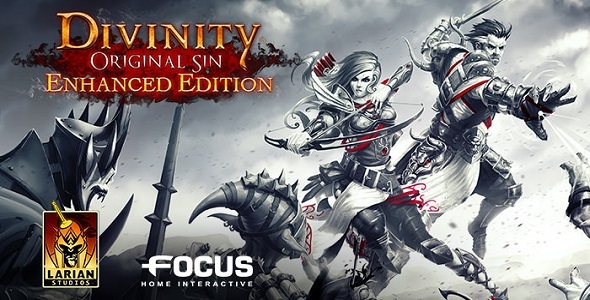 Divinity: Original Sin - Enhanced Edition is the prequel to the original Divinity, which has a sequel, Divinity II - Ego Draconis/The Dragon Knight Saga. While I never played the original (or spinoffs) I played both versions of Divinity II, totaling ~200 hours of my life. Pro-tip: If you own Ego Draconis, your save does NOT carry over to TDKS as they have different coding. That's due to Atlus buying the title and re-releasing it as TDKS. Divinity II is an RPG style of gameplay by modern standards. Third person rear-view, run around, open combat, etc. Original Sin (the most recent installment) plays out like a Pathfinder or D&D game. It's actually really tough, even on easy, which I feel is on purpose. That's how a good Pathfinder/D&D game goes. Everything is turn/round based as you would expect, based on initiative ratings. There are saving throws (automatic) skills, perks, base stats, feats, etc. You start off with two characters, which you can customize. However, pick your class before customizing skills/stats or they get reset and you have to do it over. You can even choose the AI Personality, which chooses how they act during conversations and decisions, as well as how they will react to what you do/say. You can also choose "No Personality" to manually choose how they will react to every situation, sometimes leading to a mini-game to decide who will win the argument. It's Rock, Paper, Scissors. You can switch between your party members at any time, and even separate the group to deal with traps. You can have up to 4 members in your party, and honestly it can get to be a bit much. The good news is, you can play solo, couch-co-op or online co-op. That takes some of the burden off. Each of you then takes control of the main characters (leading to some interesting experiences), and can control either of the other party members at will. This also makes splitting the loot more interesting. I got this game on an amazing deal on the Xbox One at 74% off. I would have been willing to pay the full price for this game. It truly does an amazing job of giving you the pencil & paper experience without the need for erasing and getting new sheets. The only other thing, is so far, you don't get the full 100% freedom of say, choosing a killer out of 3 suspects, you have to investigate to find the 100% without-a-doubt killer. That could also be a DM decision, where the Guard Captain wouldn't believe you without irrefutable proof. I also understand that this isn't meant to have the freedom of Sherlock Holmes: Crimes and Punishment, so I'm not really upset about it. Anyone who has ever enjoyed pencil & paper RPG's should pick this up. It's got a 60+ hour campaign and is worth every penny. 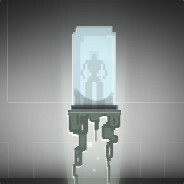 I have this on Steam, and I was really interested to play, but I was having issues with performance. I did recently upgrade RAM, though, so maybe now is a good time to give it another go. Thanks for the reminder! It's worth it! Keep your eyes on that sale price! I would check game-debate.com. They usually have really accurate readings/specs. Cool. Thanks for the heads up :).